and one last trip before we come home.........? After our long days of hiking we were looking forward to enjoying some city time. We had heard that Buenos Aires was the nicest city in South America with lovely European influences and we were certainly not disappointed! We spent most of our days just wandering around the beautiful city and looking through all the lovely leather shops. Chris even managed to finally get himself a jacket. 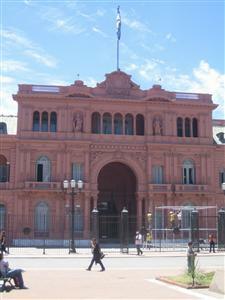 We saw the Casa Rosa, which is the parliamentary building where 'Evita' addressed her people. 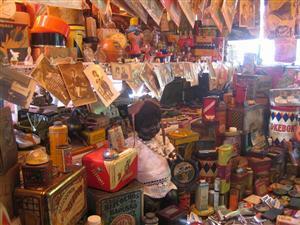 We also saw many markets full of good quality handicrafts and antiques. 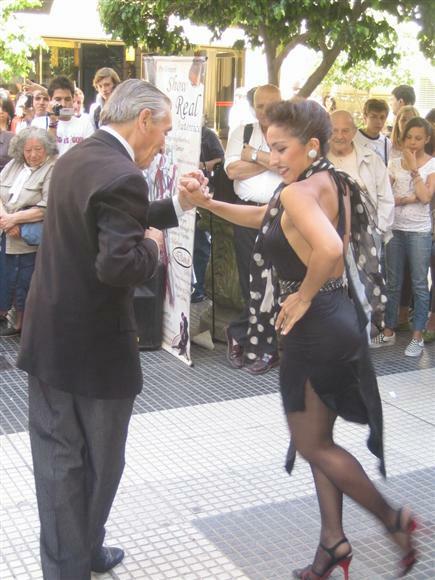 What was also fantastic was walking through the streets of Buenos Aires seeing Tango perfomers as well as many fantastic musicians busking. 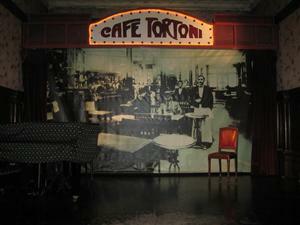 We also had a nice lunch in the oldest cafe in Buenos Aires 'Cate Tortoni' where many famous people come to eat. 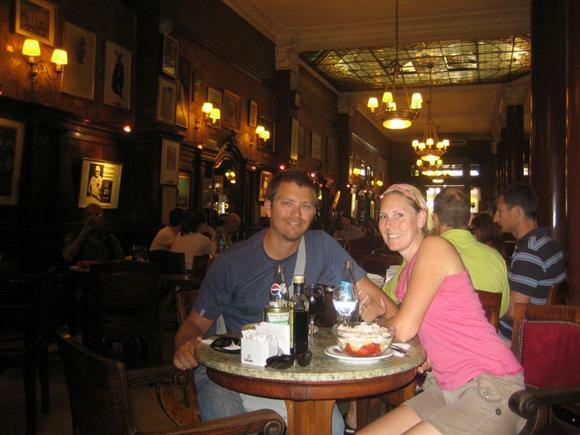 The eating in Buenos Aires is certainly the best in South America from what we'd experienced and also very reasonably priced. One night we went to a Tapas restaurant, where all they served were two options for dinner. One a vegetarian option and the other a 'normal' option. This consisted of 15 different dishes brought out over 2-3 hours. We had a bottle of wine to go with it and walked away with change from $20- not bad!! Another great meal was the purported best steakhouse in Argentina (big claim given how many steakhouses there are here and how good they are). 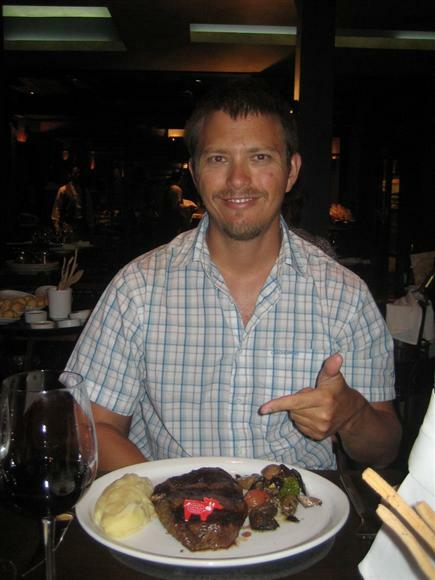 It was expensive by Argentinian standards, but certainly the best steak we've EVER tasted. Certainly worth the money. We spent a good 9 days in Buenos Aires relaxing and shopping and generally just enjoying ourselves. We were tired from our journey through South America and spent quite a lot of time reminiscing over what a great trip we had. We were also very much looking forward to coming back to Australia to see our families and friends for Christmas. 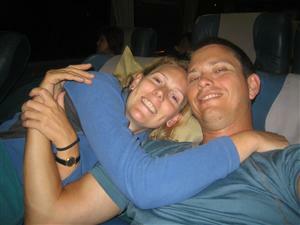 from the travel blog: and one last trip before we come home.........? Now, that´s one big chunk of ice! 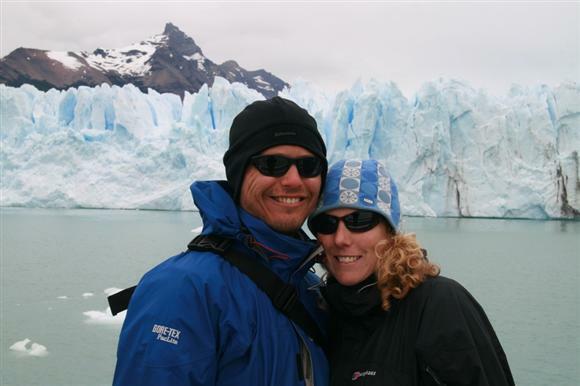 After a belly full of dinner in Puerto Natales and a good nights rest, we headed to El Calafate to see the fabled Perito Moreno Glacier. 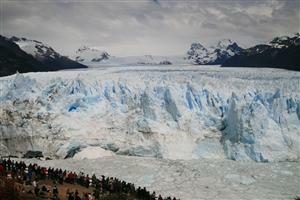 Even though we have now seen many glaciers, this one really shouldn´t be missed. It is incredible and the fact that you can get so close is pretty cool too. It is the most impressive glacier we´ve seen and certainly the most active in terms of how much ice continually crashes into the water below with a thunder. 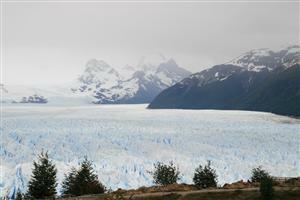 Some facts; the Perito Moreno Glacier is around 32km long, with a 5km face of which 60 meters is visible above the water. It is approximately a further 150 meters under water!!! We spent around 2 hours watching the glacier from different viewing platforms and seeing the massive chunks of ice carve their way off the face. 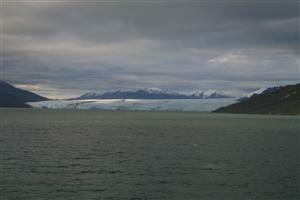 We also took a one hour boat ride to get up close and personal with the glacier. It took us to within 200 meters of the face. From here we could tell how far away the viewing platforms were from the glacier and realised just how massive this thing is. A different perspective and totally worth it. By the end of the boat ride the weather had closed in and there wasn´t much more to see anymore, but lucky us, we were on the bus and heading back into El Calafate. 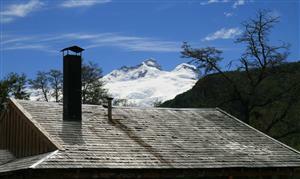 We also took the time to go to El Chalten, a small town in another part of the Los Glaciers National Park. 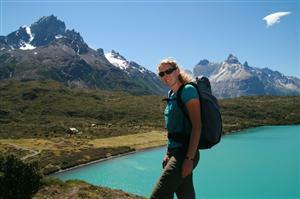 From here you can do a number of day hikes to see Mount Fitz Roy and also Cerro Torre. We had originally planned on doing a two night hike into the park, but unfortunately the weather closed in so we decided to hire a cabin for the two nights instead. What a great decision that was!!! 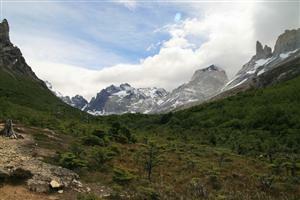 We thought that we´d experienced winds in Torres del Paine, but the winds here were just incredible. At times we thought that the big bad wolf was outside, huffing and puffing to blow our house down!!! We did a day hike to view Mount Fitz Roy, but unfortunately the clouds were settled in and we didn´t get much of a view at all. All in all though, we had a nice couple of days here in a picturesque little village. It was an early start to the day to catch our 7am bus to the park. 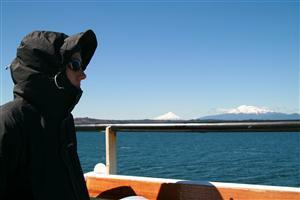 We were greeted with absolutely amazing weather again and we thought 'have we really arrived in Patagonia?' Our bus trip was great as before we even started hiking we got clear views of the Paine Massif and saw an ostrich with a few chicks, guanacos and condors. 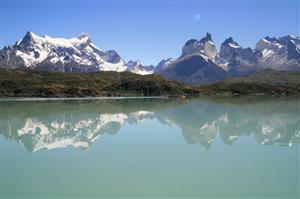 Parque Nacional Torres del Paine lies roughly at 52 degrees south and encompasses part of the Southern Ice Field. 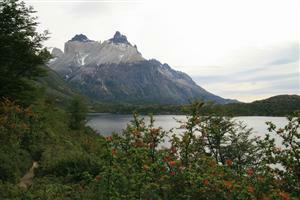 The park is made of granite peaks and towers that soar from sea level to upward of 2,800m. Although the park sits next to the Andes, is is actually a seperate geologic formation created roughly 3 million years ago when magma psuhed its way up, taking a thick sedimentary layer with it. 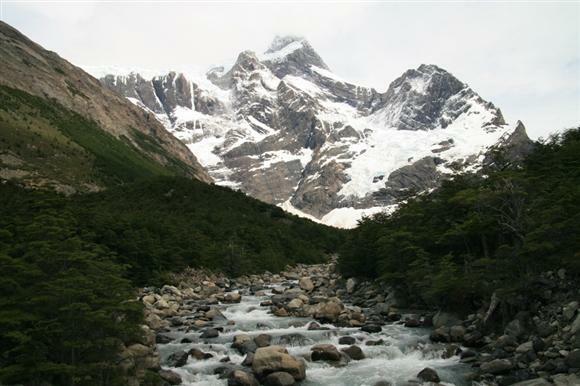 Glaciation and severe climate weathered away the softer rock, leaving the spectacular Paine Massif and also the salmon-coloured, spherical granite towers. We decided to hike West to East along the trails which are collectively named the ´W´. We caught the catamaran across Lago Pehoe to Grande Paine Lodge, a refugio where we stayed for our first 2 nights. On the afternoon of day one we went for a short hike to a mirador on Lago Pehoe as we didn´t have enough time to do anything longer. It turned out to be a really lovely hike of about 4 hours and which gave great views of the park. Corinne infront of the Torres, what a beautiful day!! On day two we hiked along Lago Grey to the Grey Glacier. We were treated again with clear skies and hardly any wind. 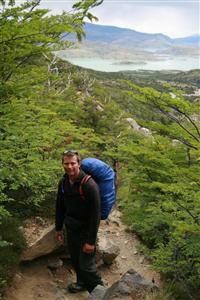 Most of the hike was through forests of Lenga and Beech trees and Los Notros bushes which have vibrant red flowers. In some sections the trees had a constant wind swept appearance. The foliage was only growing on one side of the trees in the direction of the prevailing winds. We had a great view of the glacier from a mirador after about an hour and a half and then continued on to the face of the glacier. This was impressive as were the electric-blue icebergs which were floating at its base. We found a great little spot to sit and have our lunch, sheltered from the winds, which were pretty strong by this point. All in all it was great hike of a total of about 23kms and 6 hours of walking. We spent the evening up in the little bar, sipping hot chocolate, overlooking the trail heads watching people coming back from their hikes. Looking rather tired. Day three we hiked along the shores of Lago Nordenskjold, up into the French Valley and then onto Los Cuernos Refugio. For both of us this day was the highlight of our trek, even though it was the longest. The French Valley was simply stunning. On one side sits the French Glacier, continually moving and breaking, the valley itself is highly vegetated with trees and flowers with a river running directly through it and to the opposite side is a very barren landscape consisting of granite and the Paine Massifs. 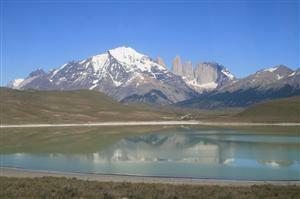 Further afield you can see the numerous turqouise coloured lakes and snow capped mountains. It was incredible and made even better as yes, the lucky passengers had beautiful weather again. After 26kms and 10 hours of hiking we arrived into our refugio at about 7pm absolutely exhausted and starving. That night we felt sort of comforted by the fact that we were inside and not in a tent for the winds were absolutely blowing. They were so strong it sounded like the roof was going to come off. The winds here can reach speeds of up to 120km an hour - those poor screaming campers!! 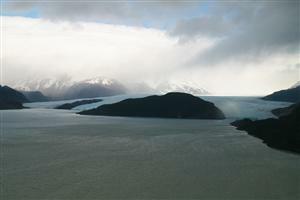 Day four and the lucky passengers got a real taste of the Patagonian weather! We started with drizzly rain interspersed with sunny periods but was pretty nice hiking weather. The morning started out fairly easy with few ascents and descents of not much more than 100m at a time. Within 2 hours the weather had closed in and we were now walking uphill head on into the wind, rain and HAIL!! 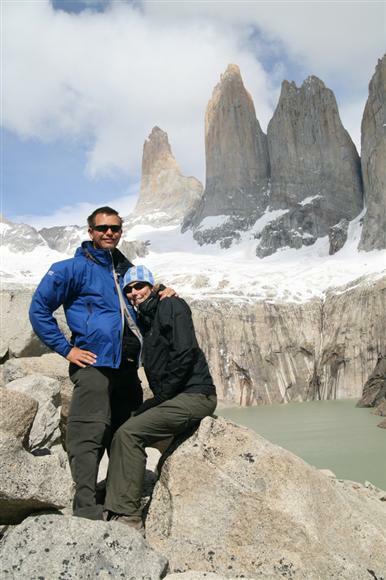 Chris and I really enjoyed it as we thought you can´t come to Patagonia and not get knocked to the ground by the wind and be soaked from the rain. We arrived into our campsite just after lunch with the clouds settled in and not affording any views of the surrounding mountains. We decided not to press on and spent the afternoon with other hikers drying off in the refugio in front of the fire and chatting. Afterall, it had been another fairly hard day of hiking - 16km. We had a really great nights sleep in our tent and awoke to sunny weather. What are the chances? Our last day in the park and we headed up to see the Paine Towers hoping they were going to be clear of clouds. Lucky us they were. Most of the hike was uphill and the last part was climbing over large boulders. This did get a little scary at times as the winds were so strong. We had to stop, hold onto the rocks and wait till it eased off. The hike down was easy and in parts it was far kinder on the knees to run. We made it down in time for our 2:30pm bus back to Puerto Natales. Even though it was a tough 5 days it was certainly worth it and is definately one of the highlights of our trip. 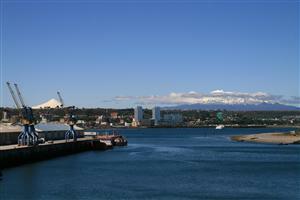 Our four day trip on the Navimag started with clear blue skies in Puerto Montt, Southern Patagonia, and the weather continued to be very kind to us for the entire trip. So much so that the on board guide kept telling us that we were the ´lucky passengers´. They had not had a clear day for the past 2 weeks up until now and it is also very rare to get 2 consecutive days of clear skies in this part of the world. So, as you can imagine we were very happy. 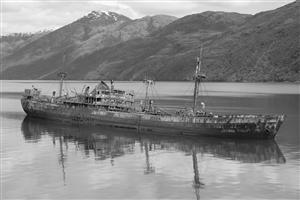 The Navimag is essentially a cargo and passenger ship which runs between Puerto Montt and Puerto Natales. The facililties on board are fairly basic but with everything you need. Our days were spent mostly on deck (as the weather was so fantastic) appreciating the views, listening to talks on the local fauna and flora, chatting to other travellers and drinking lots of hot chocolate. 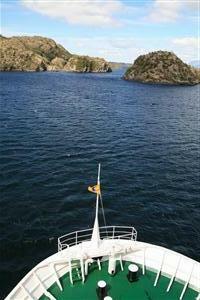 On Day one we travelled through the Ancud and Corcovado Gulfs. 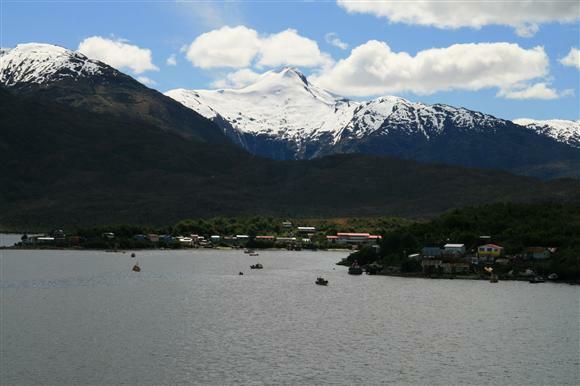 Day two we sailed through the Moraleda, Errazuriz and Pulluche Channels and into the famed Anna Pink Bay and through the night the Penas Gulf. 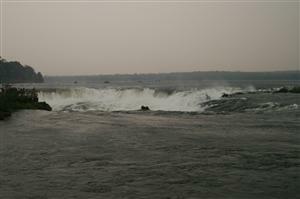 Throughout the day the guides warned us of how rough the seas can get once we reach the open ocean or oceanic area. They recommended (often) that all passengers should take some sea sickness tablets to help with sea sickness. Chris was really looking forward to some big waves and hopefully some stormy weather. I wasn´t!! We decided to take our chances and not take any tablets hoping it was the right move. So when we hit the open ocean, around dinner time, Chris was sorely disappointed with the extremely calm water. I was thrilled that we were the lucky passengers, once again, and only scored an official 4 out of 12 for the sea conditions. We both woke up in the middle of the night rocking in our beds - a very strange sensation. Day three and the morning of day four were the most interesting sections of our trip. We passed through the Messier Channel and then through the English Narrow which was just stunning. We stopped in at Puerto Eden, a very small Chilean settlement with a population of about 200. We dropped off supplies and collected a few passengers. That afternoon we stopped in front of Pio XI, the largest glacier in South America. 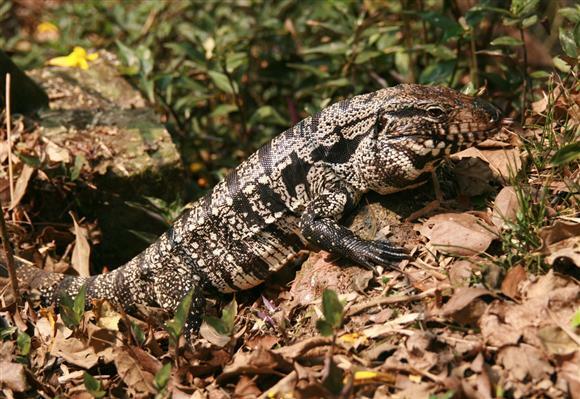 It is roughly 60 kilometres in length, over a kilometre deep with 100 metres visible above the surface of the water. We were lucky enough to see and hear large chunks of ice falling off into the water below. Our last day ended up being much longer than planned due to strong head winds. 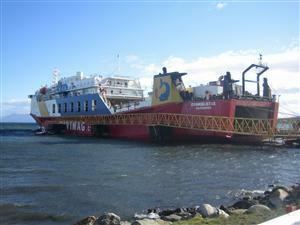 We were supposed to arrive in Puerto Natales at 11am but ended up arriving at 5pm. It didn´t worry us as we got to see more in the daylight. The most notable part of this stretch was the White Narrow, being only 5 metres wider than the boat. It was impressive seeing the Captain navigate the ship through such a small passage. 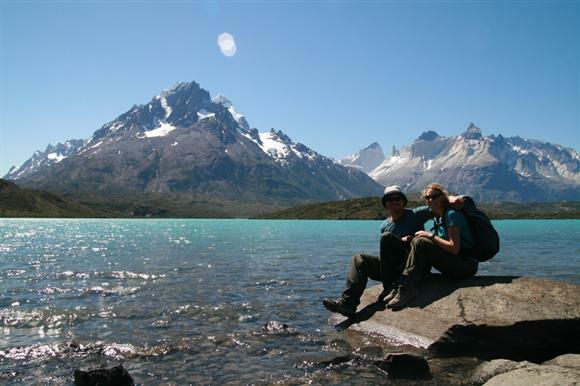 We disembarked at 6pm and had to quickly get ourselves sorted in the hostel and then book our bus, ferry and pick up supplies for our 5 day hike in the Torres del Paine National Park. After a busy evening we were all set to go and were looking forward to hiking again after spending so much time on a boat. 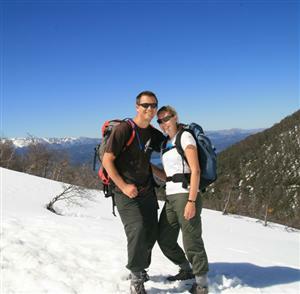 Nursing blisters and sore muscles we made our way to San Martin de los Andes in Argentina. 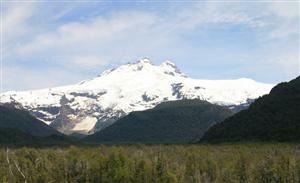 The bus ride passed through some amazing scenery and past the mighty Volcan Lanin (3774m). The going was slow as we had to do all the usual stops at the border for passport and visa checks. However, we were quite happy to just sit, rest and take in the views. We rented a gorgeous wooden cabana for only $36 a night with a warming open fire and to Chris´excitement our very own BBQ for all those steaks. We only did one hike in this area of the region as we needed to let Chris´blisters heal. The hike was only meant to be a short one, being 10km, but we decided to take a detour as indicated on the local map as being 14km total. It ended up being 26km - so much for resting those blisters!! We had planned to ride along the Siete Lagos Ruta (Seven Lakes Route) to Villa La Angostura but changed our minds when we found out that the road is being resurfaced and the weather was turning for the worst. So we ended up hiring a car, which turned out to be fantastic, as we were really able to explore all the different areas. We drove to Lanin National Park skirting Lago Huechulafquen where we saw a bird (don´t know the type) catch a fish right in front of us. 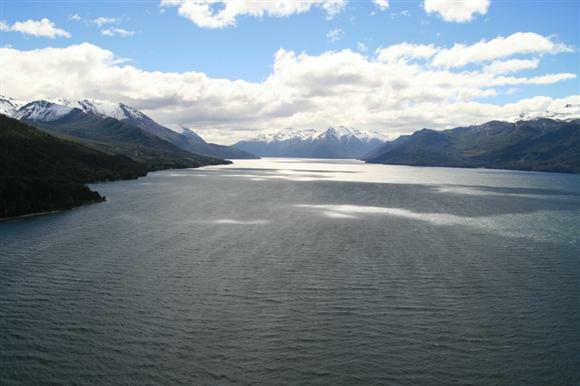 After a few days of enjoying lots of steak and sampling many Mendoza Malbecs we departed San Martin and drove along the Siete Lagos Ruta to Villa La Angostura. There is a good reason why this drive is world famous. The scenery is truly spectacular. After seeing the condition of the road and having to take a 100km detour (as part of the road was closed - no signs by the way) we were even more pleased with our decision not to bike ride. 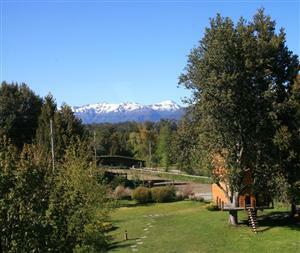 Villa La Angostura is a picturesque town on the shores of Lago Nahuel Huapi. Once again we hired a lovely cabana with views of the mountains and spent a few days exploring the area. 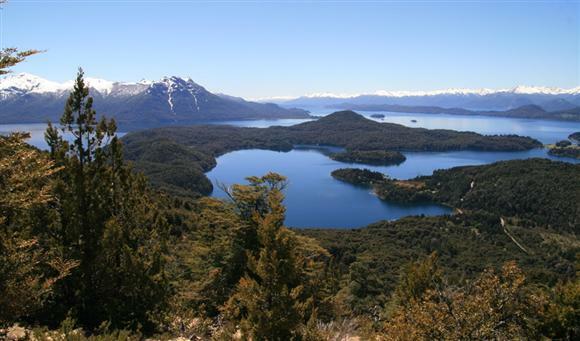 We did two hikes, the first to a mirador and waterfall and the second along the peninsula which forms the Arrayanes National Park (a park within Park National Nahuel Huapi). A mouth full we know. 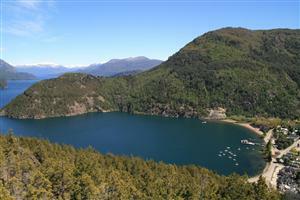 Next stop was Bariloche, situated on the opposite side of the lake to Villa. We made our way to the National Parks office to find out which walks were open and hopefully free of snow. They told Chris they didn´t recommend us going into the park as the weather was unpredictable. Not content with this we went to Club Andino (the parks hiking specialists). They let us know of a number of hikes we could do which would take in very nice views. They said just go as far as the snow line. Perfect! 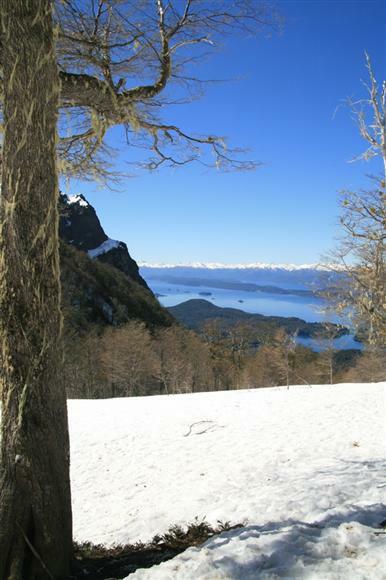 The hike that we did is part of the Nahuel Huapi Traverse ( a four day hike which we really wanted to do but couldn´t because of the snow). Not to worry as we got amazing views and had a lot of fun hiking in the snow!! Other people were doing it - honestly! 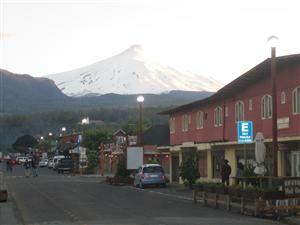 We thought we couldn´t come to this area without checking out Mt Tronador. Tronador is Spanish for thunder. 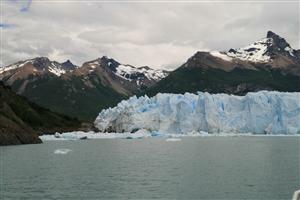 It is named this because of the noise which is made from huge chunks of ice and snow breaking off the glacier. We spent about 15 mins there and in this time we saw this happen twice. We couldn´t believe how loud it was. What is also interesting about this mountain is its 3 peaks. One is in Chile, one is in Argentina and the third is international. Unfortunately the weather closed in and we were unable to do the other hike we had planned to do. We had to expect this though being in Patagonia at this time of the year. 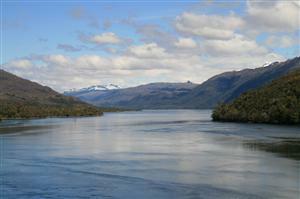 We are so excited as we are now heading to Southern Patagonia. 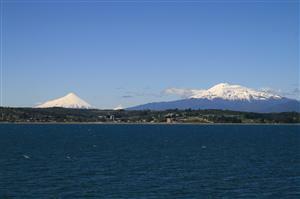 First stop is Puerto Montt where we board our 3 night ferry journey to Puerto Natales through the Chilean fiords. Brrr! Hope you are all well. Look forward to hearing from you. 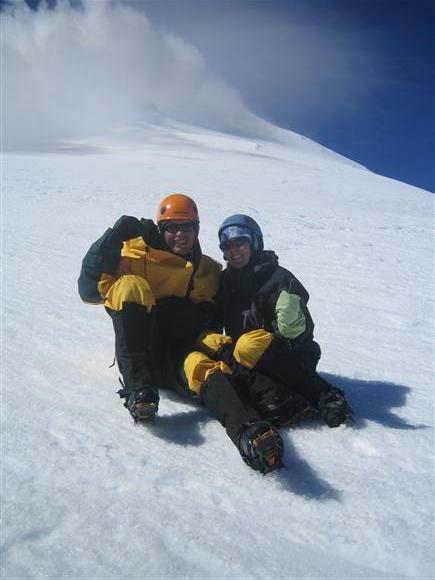 Crampons, ice axes and an active volcano! Bus ride from Santiago to Pucon, luxury!! 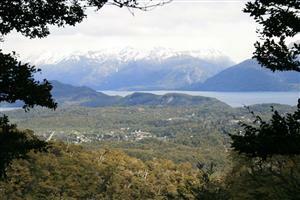 After an overnight bus from Santiago we arrived early morning into Pucon, in the Chilean lakes district. 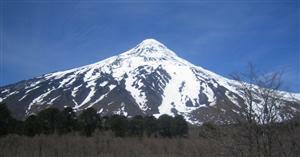 An area consisting of numerous glacial fed lakes and the most exciting - volcanoes!! 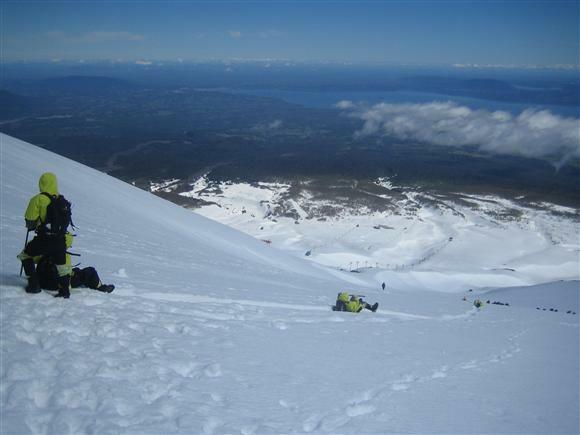 The time had arrived for us to try and tackle climbing the active Volcan Villarica, 2800m. 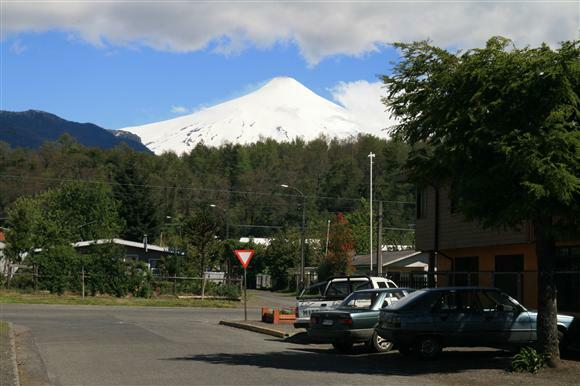 We spent our first day checking out Pucon itself. It reminded us very much of the little towns in the Austrian Alps where the buildings are cedar clad. We went for a leisurely walk along the lake shore. 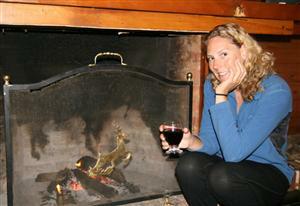 We were convinced that the people we saw most definately must come from a very, very cold climate. 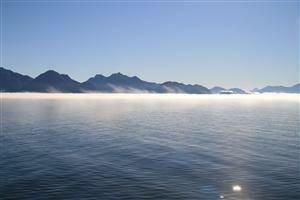 As we were wrapped up in our puffer jackets they were in the freezing cold water - yes that´s right - going for a swim!! As you do apparently!! We decided not to - at least today anyway...... After a carb loaded dinner we headed off for an early night in preparation for our climb. The alarm sounded at the ungodly hour of 4am and we dragged ourselves out of bed and put on all our gear for our 430 pick up. We headed out into the dark and the cold to see that no-one else was waiting. Eventually people surfaced out of their rooms and let us know that we weren´t actually leaving till 5am!! How come no-one told us?? 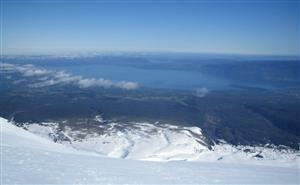 View from Villarica, a little steep!! After a half an hour drive we arrived at the base of the volcano. 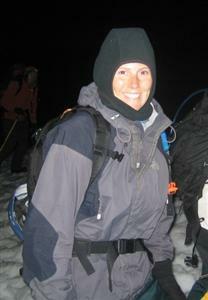 We were given sliding pants, more on that later, ice axes and crampons. We loaded this all into our back packs and headed off up the volcano in single file. 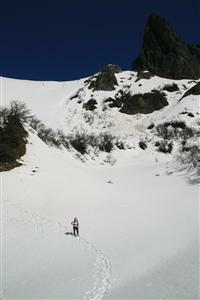 The climb started in a valley at 1300m with a gradual ascent. However, walking in the snow is no easy task and by the time we got to our first break an hour and half later, we were all very much feeling it! 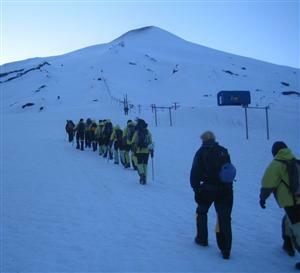 At this point we put on our crampons and continued on uphill for another 40 mins. The terrain was starting to get rather steep and icy. At the second break we were taught how to stop ourselves from falling off the volcano if we fell!! What?? Did we hear that right? Basically what you have to do is roll yourself very quickly over onto your stomach, lift your feet up so the crampons don´t dig into the ice and consequently flip you over in a backward sommersault, jam the ice axe in and pray!! After we all practiced this a few times we were allowed to continue. Yeah, we think! The climb started to get very steep from this point and very, very windy. It was rather disconcerting being almost knocked over by the wind and having to lean into the volcano to rebalance yourself. The guides made us all pause for a moment as they reassessed our path as the smoke from the volcano was blowing straight into it. Consequently we had to divert and go up a steeper section - this is when it got very scary. I kept telling myself I can do it and to not look down. So what did I do? Yep, I looked down, but only the once. After about 5 minutes I turnt around to Chris and said ´Í am really scared now´, to which Chris replied ´fear is probably a good thing honey´. I thought that is so sweet but also thought he is crapping himself too!! We both battled on past the really steep part and made it to our next stop, which was 400m from the top. The guides reassessed our situation and made the decision this was as far as we were to go as the wind was too strong and blowing the smoke dangerously towards us. We were both dissapointed that we wern´t able to see the molten lava inside the crater but were very happy at the same time not to go any further as it did look dangerous and we could smell the sulphur. 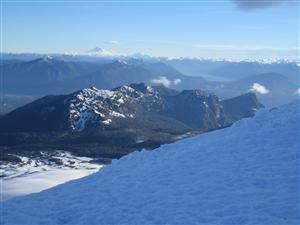 The views were amazing with a number of lakes and volcanoes in the distance. Now the fun part! Coming down! We took off our crampons and strapped on our sliding pants. A quick demo on how to stop ourselves using the ice axe and we were off. What took us over 4 hours to climb up only took 45 minutes to slide down. We thought it was a great experience but have decided that snow is there not to climb up but to ski down! Next stop San Martin de los Andes. Back into Argentina for more steak and red wine. Our flight to the other side of the continent was uneventful, saying good bye to the sun was very difficult that´s for sure!! Santiago, the capital of Chile, has been unexpectedly nice. We had read that this city was not much to look at. Well, we´ve had a really great time here, mostly because it feels safe. We had a bit of a wander around and noticed that there wasn´t that many people about, until we got to an excellent little coffee shop and asked where everyone was. Apparently it was a public holiday, so no-one was working. We got to walk the city almost as a ghost town. Even though there was not many people around, it still felt safe with nobody harrassing you or trying to sell you something or get money off you. Normal life again!! 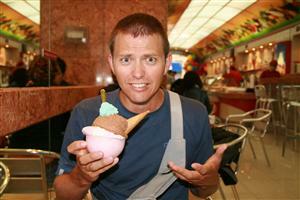 One dollar icecream. Too much even for Chrissy!! 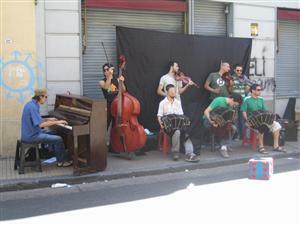 Admittedly, there aren´t a lot of sights to see, however each neighbourhood has its own feel and flair. We are staying in a lovely suburb called Bellavista, which is an arty suburb with a Bohemian feel. 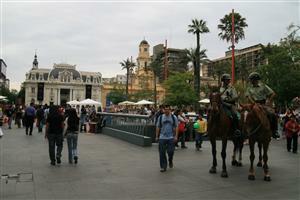 It contains one of the cities Universities and has lots of restaurants and bars. The people are cool and very friendly. 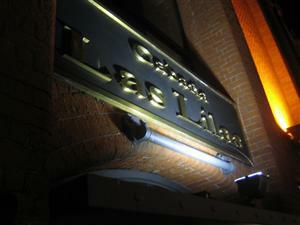 We´ve had a couple of nice bottles of wine with our meals and the food is very well priced and great quality. From here we are heading to Pucon on an overnight bus, where we will try and climb Volcan Villarica in a couple of days if everything works out weather wise. Will write when we can as we expect to be on the move quite a lot over the next few weeks, so may not be able to update often. Arriving into Salvador on a late night flight from Rio, we caught a taxi into our hostel accommodation in the swanky suburb of Barra. 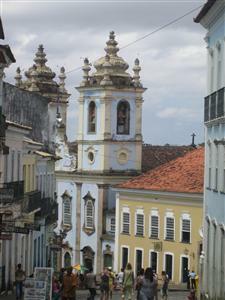 This turned out to be a great choice for us, as it is one of the safest areas of salvador. 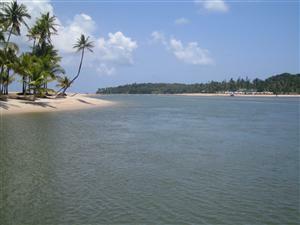 Barra is a beachside suburb at the head of the bay of Salvador. Our quest to find warmer water was successful!!! Yay. Needless to say we were very happy with that. The water was like a warm bath and the coastline is among the most beautiful in the world. Most of the guide books that we read said to devote a good week exploring the Pelourinho area(historical centre) because it is really interesting. We found that an afternoon was enough!! Unfortunately, we got harrassed a bit by two fellas. At first, one of them came up to us to 'offer' his guiding services. He clearly wasn't a guide, so we politely declined. He then got quite aggressive with us. Not really nice, so we walked away. Within five minutes another guy came up to us offering his services once more. Well, he started telling his life story and then when he asked for money off us, we declined, then he again got aggressive. This was all in front of the police mind you!! So we decided that it wasn't too safe an area for us. The historical centre wasn't that interesting anyway. We read that up until only 10 or so years ago, it was neglected and was completely run down and very unsafe. So basically most of the buildings are in bad repair and not that nice to look at. the biggest single attraction is an art deco elevator that links the upper and lower city!! That should give you an idea. As we didn't feel that safe, we decided not to explore the nightlife , unfortunately, which salvador is apparently renowned for. We did however sample a lot of the street side food stores or Bainas. These are run by large ladies who wear all white. 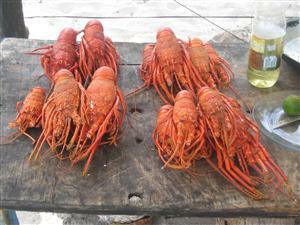 The main staple of the food is seafood and a shrimp paste made with a local grain. It is really good and cheap. 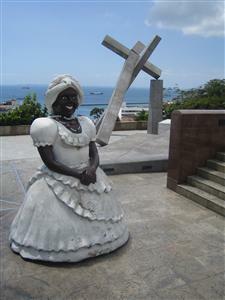 Morro is one of the most famous islands in the state of Bahia. 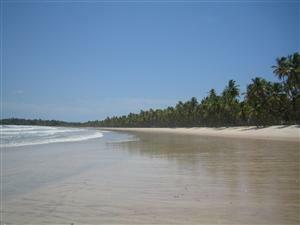 Most notably the second beach, as it's called, is one of Brazils top beaches. We didn't stay there though, as it is totally built up and the guide books warned of loud parties going on all night. We wanted a relaxing time and sleep!!! 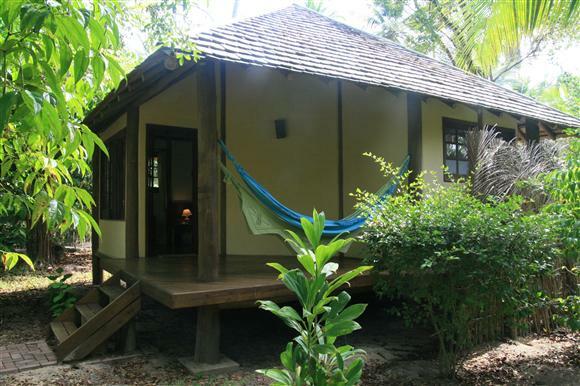 So we decided on a boutique hotel on Fourth Beach. It was lovely and definitely a splurge for us. After our 5 nights there and eating as we did, we had put on all the weight we'd lost in Peru and Bolivia and also added a few extra kilo's!!! 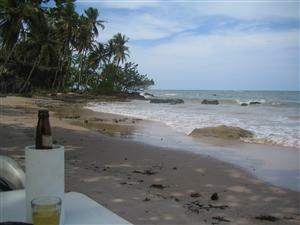 It was totally relaxing, with a long beach (about 5km's) and we were pretty much by ourselves most of the time! Paradise. 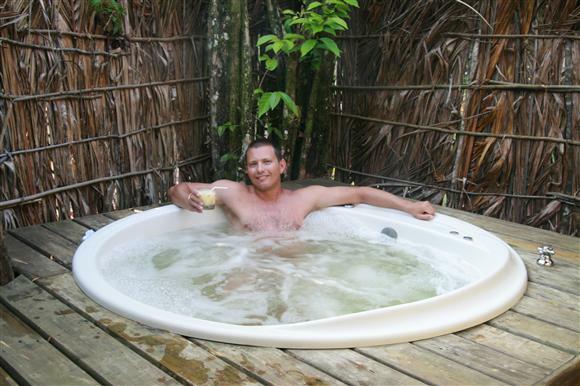 Our bungalow had its own private jacuzzi which was fantastic. 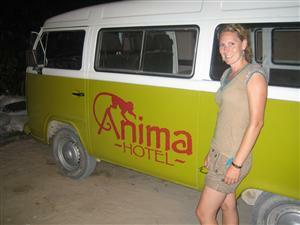 After our nights there, we went to Boipeba and stayed in a lovely guesthouse run by two American brothers. It was about half the cost of the other place, but simply lovely as well. We did some beautiful long walks, discovering little secluded coves and just reading a lot, sunbaking and of course swimming. Again, the food was amazing. One advantage to Brazil, on top of everthing else, is that the flip flops (Havaina brand) are made here, so therefore very cheap. We have now got a pretty good collection going on. One havaiana, two havaiana, three havaiana more! 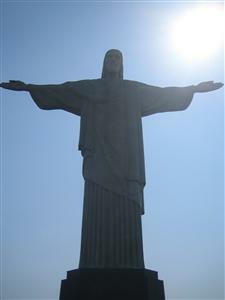 When my baby smiles at me I go to Rio! Couldn´t help the title - can´t help singing it as well!! We were wise this time and got a flight instead of hauling ourselves through another 24 hour bus ride. Our butts just couldn´t take it! As we were a week ahead of schedule we decided to head a little further north for a few days to a place called Buzios. The plan was to spend some time chilling out and swimming. The chilling out happened as the water was freezing. You would need a 5mm wetsuit to get in that water! We found out that at this time of the year a cold current comes through from Argentina consequently making the water a balmy 15 degrees. Brrrr! It was rather frustrating as the water was beautiful and clear and the air temperature was around 30. Chris was brave and jumped in but when I saw how fast he got out there was no way I was getting in. 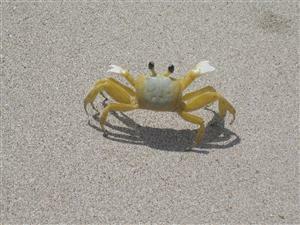 The coastline is stunning with gorgeous protected coves, white sand and torquise water. Even though it was beautiful, we only spent 2 days here and instead decided to head back to Rio with the plan of finding warm water. We originally planned to Stay in Ipanema, however, as we were a week early and it was a long weekend in Brazil, our hotel couldn´t put us up. We quickly looked up our trusty hostel booking site and found the only double room available in Copacabana and took it!! 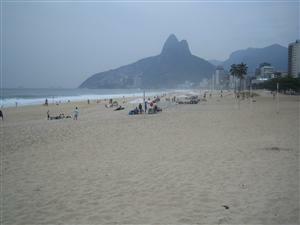 Copacabana is justifiably the most famous city beach in the world. It really is stunning with 4.5km´s of fluffy white sand, bluffs at each end and beautiful people everywhere in tiny swimsuits. What scenery. 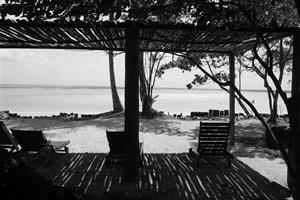 The only thing detracting from the beauty of the beach is the concrete jungle behind it. It´s a bit of a dive and unsafe at night. During the day though it was totally fine. 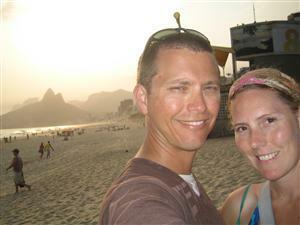 After a few nights we were able to get into our original hotel in Ipanema, so we changed camps. What a difference this made to our experience. 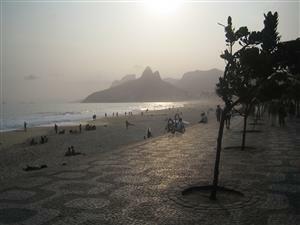 Ipanema is a lot nicer with cafes, bars and live music. The beach is better too, with cleaner water and less dodgy people. Amazing what only a couple of hundred meters makes!! 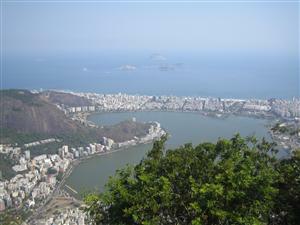 Copa and Ipanema are separated by a rocky point. 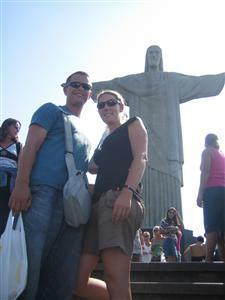 We spent a day going up to Corcovado with Christ the Redeemer looking over with his arms stretched out over the city. From here we could appreciate why Rio is considered one of the most beautiful cities in the world. 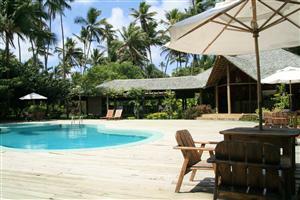 Surrounded by lush green mountains, perfect white sand and islands off the shoreline. Truly amazing. 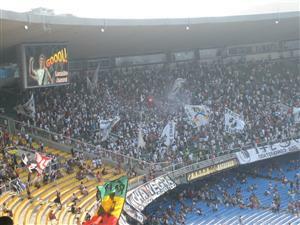 We were also able to catch a local football match between two Rio teams, Vasco and Botafogo, at Maracana stadium. The stadium is impressive. Holding 100,000 people at capacity; it would be a fantastic venue to watch a packed out event. The game we were at had 23,000 people, however it sounded like over 60,000!! The fans certainly are passionate. Each teams supporters end had drums, flags and occasionally let off flares in their teams colours. It was a spectacle that´s for sure and one we won´t forget for a while. 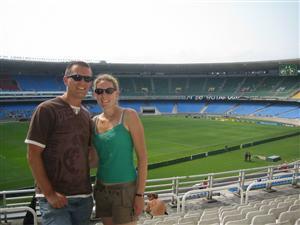 We were almost tempted to stay in Rio for a few more days to come back to Maracana, where Brazil were going to play Uruguay in a friendly match. Instead, we watched it on the telly in a bar in Salvador. It looked like it would have been amazing to be there!! Our efforts to find warmer water culminated in being told about the state of Bahia, the capital being Salvador which is in the North East. We have decided to go there and then find a tropical island to rest our weary travellers feet. Geez that´s a lot of water! 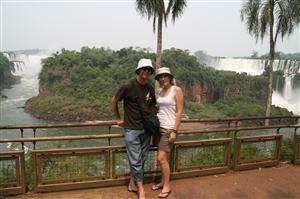 27 hours later we arrived fresh as daisies in Puerto Iguazu - NOT!! We couldn´t believe that we had just spent that amount of time on a bus. We could have flown to Aus easily in that time. However, we were certainly well and truly rewarded for our brave or some might say crazy efforts. 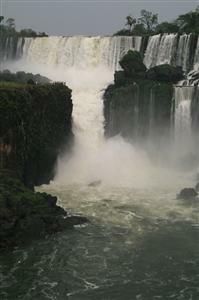 The Argentinian side of the falls were spectacular. Can´t really explain it in words - best to try and let the photos do the talking. 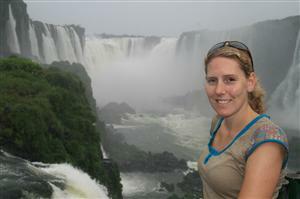 We had a great time getting up close and personal to the falls via pathways through the jungle. Chris took me on a speed boat ride for my birthday present. They took us right underneath a number of the falls and consequently we got absolutely soaked. It was brilliant! 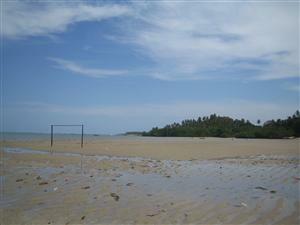 We then went over to the small island in the middle to dry off and whilst there went for a small hike to see the flora and fauna. The second highlight of the day was seeing the falls at the devils throat. From the viewpoint it was like standing on the edge of the world. Sounds a little corny but it really is the best way to describe it. 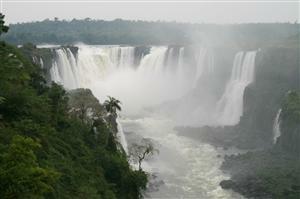 The immense amount of water pounding over the edge was so loud you had to shout to hear each other. Chris and I thought it made Niagara Falls look a little like a garden fountain. Don´t get us wrong, they were amazing to see as well, but just didn´t compare to this. 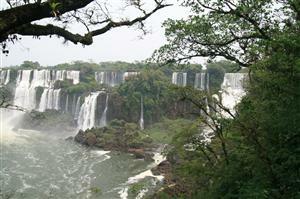 We also got to see the falls from the Brazilian side. It was worth seeing from both sides as from here we got an overall perspective. 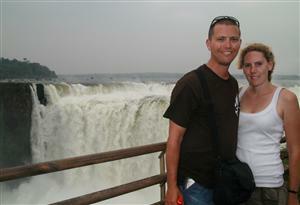 We spent the night in a lovely spa hotel which was only a ten minute walk from the falls. A treat for my birthday. It was very nice to have a bit of luxury. Next stop - Rio baby!